Constructed using Aerogel and M-Fil (Multi Filament) technology. Aerogel is the world’s lightest solid and has strength up to 4,000 times its own weight delivering supreme strength to weight ratio for enhanced stability and maximum power. M-Fil comprises of three materials integrated into the hitting zone of the racket, enhancing touch and feel, where it is most needed – the moment of contact. This is the lightest oversized racket in the Aerogel series allowing for greater control but also giving you a larger hitting area. 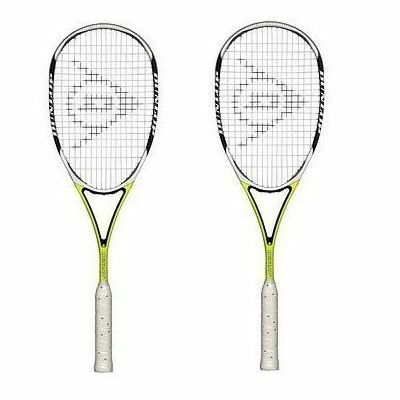 The rackets come with full racket covers and are pre-strung with premium M-Fil TS strings that offer ultimate playability for high-level performance, a multifibre core for excellent touch and feel and a monofilament outer core to retain resiliency. 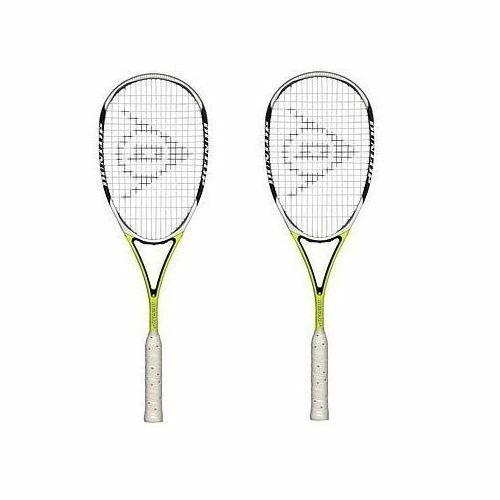 for submitting product review about Dunlop Aerogel Ultimate Squash Racket - Double Pack.